For the area, see Brunei. Brunei is a Malayan sultanate in Indonesia. Brunei owns Jesselton (637) in 1444. The islands in the Sea of Sulu have been inhabited for centuries, divided into smaller kingdoms. These lands are now united under their first Sultan. Known as a respected scholar of Islam, the Sultan has strengthened both political and religious institutions in the islands, which hold one of the oldest mosques in the region. Through inter-marriage, charisma and innovative diplomacy, they are now united by a common code of laws. The world has seen the rise of the Sultanate of Sulu.  Sulu (651) is open for colonization. It is at least 1450. Let us hope the Sultan is reasonable, or the world may see its fall. Sulu is founded on Sulu (651). Each country in the Moluccas gets the event ‘Rise of Sulu’. Brunei, as well as other large states with Malayan culture (the Sumatran nations, Majapahit, Malacca) are capable of forming the Malaya. The strategy for all of them is somewhat similar, and should always work, bar some unfortunate random events. In 1444, there are no friends in Indonesia and Malaysia: all countries are hostile or declare rivalry shortly after the game starts. There's little point to seek alliances with any of them - swift conquest is the only way forward. 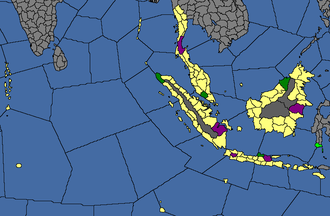 The big players are the Sumatran nations, Majapahit, Brunei and Malacca. Makassar is a rich OPM out of the way. On the mainland, Ayutthaya holds two provinces with Malayan culture and Sunni religion, which can be claimed later. The rest of the world is not of concern, for this distant corner of civilization. To form the country, the territory of any two of the three countries (Siak/Pagarruyung/Pasai, Malacca/Kedah/Pattani and Brunei/Kutai) must be owned, as well as four provinces on Java, including two capitals. Owning Majapahit or Makassar lands is not a requirement, but since they have zero possibility of forming meaningful alliances, they can be crushed in due time. It is possible to forge claims on Luwu and Kutai from the beginning. Luwu should be vassalized as soon as possible, and in the meantime, some additional forces should be recruited. Ideally, the Brunei army at force limit should be sufficient. Investment in cogs is crucial early on, to haul the troops around the islands and not be crushed while the expeditionary force awaits reinforcements. As soon as Luwu is vassalized, Kutai can be attacked. With some luck and a skilled general, Brunei should prevail against Kutai; although Malacca may be an easier target, it requires gaining a casus belli with them, and sharing no bordering sea zone, it may be helpful to take colonization just to colonize Pontiak, Tulangbewang, and Lombok to gain borders with Sumatra, Java, and the Malay peninsula. It's also possible that Malacca has lost a war to one of the Sumatran nations or Ayutthaya and is even weaker than usual. Vassalize them and move on to Sumatra. An alternative option to outright conquest is to make vassals of all opponents and taking care not to sink expensive fleets. Then when the vassal in integrated the aggressive expansion cost has been spread over time and the fleets are also acquired. This enables Brunei to maintain a strong fleet which is critical for long term survival. Defeat any Malayan power holding Malaccan cores and force them to return any of Malacca's cores as well as claiming as many provinces as necessary to reduce them to a size that can be vassalized in the next war. It's possible that Malacca has claims on some of Sumatran provinces, they can be sold to them to reduce overextension. Transfer control of bordering occupied provinces to Malacca, and feed them to them in the peace deal. Start thinking about integrating Makassar. If there's a Diplomat adviser available, that will speed up the process significantly. Improve relations with Malacca, until the integration of Makassar is complete they will be unsatisfied with their vassal status as they are almost the same strength as Brunei. Good relations with Ayutthaya are preferable to keep them happy, just in case. They will be outraged when Malacca is annexed, and with their allies command larger force than Brunei can muster at this point. When the truce with the previously mentioned Sumatran nation expires, vassalize them and sell them the provinces previously claimed from them; it may also be advisable to feed them the rest of Java. Keep forces strong to avoid dissatisfaction, and annex them together with Malacca as soon as possible. With that, the goal is almost complete. What remains is colonizing the Spice Islands and optionally subduing Majapahit. On the technology side, it's crucial to get the first national idea as soon as possible, so all administrative points should go towards that instead of coring. Withhold investment in diplomatic technology and spend the points instead for the first two ideas in Exploration idea group to allow colonizing of Java and forming Malaya. With some luck, Malaya can be formed in 40 years or so, with all island nations fully annexed by 1490. From here Malaya is in the prime position to completely dominate Far Eastern trade and become the Great Britain of the east. After formation, turn to the Siam trade node in which Ayutthaya currently resides and dominates. By now they should have annexed their vassal and are intimidating as a force at the moment. If they're still alive, ally with Pegu and then declare war after claiming Pattani. There is sometimes a mission to free Pattani from Aytthayan hands as Pattani is both Sunni and of Malaya culture group. After taking and annexing the most important provinces, vassalize whoever is available want and then take down the others. Vassal feed as much as possible and then create more vassals. These will be buffers against Ming as Malaya cannot even dream to go against future rival Ming in a land fight. After taking control of Siam's trade node, Malaya should start, or continuing, colonization of the surrounding islands. These provide many eastern goods such as chinaware and more spices. As Malaya it's possible to get 4 colonists. 2 from exploration, 1 from expansion, and 1 from the Malayan ideas. These will help in colonizing the various small islands and eventually Australia. Australia is fairly regularly untouched by the Europeans at this time as they are usually still creating a stable foothold in the new world. Colonize here and the new colony nation of Malayan Australia will be created. It is imperative to invest in the development of individual provinces in order to keep on institutions throughout the game. Brunei's core region lacks for provinces with low development costs due to tropical terrain, which can be remedied through conquest or colonization, saving a great deal of monarch power. Ensure to funnel trade from here to the Philippines. As for the other venues of trade, taking from Hangzhou and Canton should be done with merchant fleets. Conquest of Japan is completely possible if Malaya attempts to balance trade power to justify trade conflict. Superior naval size should be sufficient in dealing with them with blockades and vassalization. Diplo annex them for control of the Nippon trade node ready to be funneled right into Hangzhou. Strong allies will be scarce. Ming or other Chinese minors, the only other relevant nations, will most likely be rivalling Malaya and threaten any continued expansion. However, as Ming sometimes collapses within the first few decades, Chinese minors may be easy targets before they ally each other. Vassals will be the greatest source of power. Attempt to vassalize as many nations as possible and feed them whatever provinces Malaya has conquered. This will provide a private army that pays Malaya instead through vassal income. Be aware that vassals may declare independence wars should they grow too strong; and as such, it may be advisable to integrate vassals once they field a formidable army, maintain high relations with them, and ally other major powers temporarily. Lan Xang works best for their accepted cultures and buffer against Ming. Nepal should be prioritized as a vassal for their amazing land military based national ideas. Hopefully they haven't grown too much for a full vassalization in one war. In case of a strong angry Ming, it is worth building high level forts in the narrow parts of Northern Malayan peninsula, these will delay invasions and allow use of the navy to attack exposed flanks. Be careful not to allow a concerted effort by the opposition to pick off the navy in small squadrons. One option to draw an enemy away is to trap it on an island, possibly by baiting with a small sacrificial force of mercenaries.